We all know when we’ve read a great short story. It lingers with us long after we’ve finished reading. But how do you write one? What are the elements that make up a compelling piece of short fiction, preferably one that will make competition judges sit up and take notice? In this workshop spanning two evenings, award-winning short story writer, Jo Riccioni, will use real examples to break down the ingredients of the best short stories, offering you the tools to create or improve your own short fiction of 2000 words or less. We’ll also consider how to successfully weave a specific setting or theme into the narrative, helping writers who wish to enter the Pittwater Short Story Award in 2019, which requires a local setting and the theme “stingers”. In the second session, participants will be able to have a short section of a story in progress critiqued by Jo and the rest of the group in order to get constructive feedback before submitting it to competitions. Are you an avid reader but don't know where to start with your own writing? Or perhaps you are a compulsive writer and storyteller who would like to learn more about what makes a great short story so you can enter competitions, like the 2019 Pittwater Short Story Prize? Maybe you simply want to get better marks in your creative assignments in English? Why not join award-winning short story writer and novelist, Jo Riccioni, in this fun short fiction workshop targetted especially for teens from 12-18 years old. We will spend the afternoon thinking about where ideas for stories come from and how to successfully weave a specific element into the narrative, helping writers with school assignments or competitions based around certain themes. We'll look at how stories differ from novels, we'll play with riveting first lines, different voices for telling your story, how to make a reader sit up and pay attention, and how to master that killer ending. 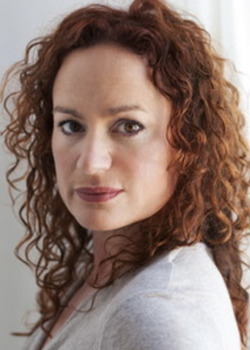 Jo Riccioni’s stories have been read on BBC and National Radio, and published in Best Australian Stories 2010 and 2011, The Age newspaper and major literary journals in Australia and the UK. Her short fiction has won the EJ Brady Award, the Banjo Patterson Award, the Katherine Susannah Prichard Prize, the Yeovil Prize (UK) and the Wells Prize (UK). In 2016, she was a panellist at the inaugural Australian Short Story Festival in Perth and has held residencies at Varuna and Bundanon. Jo’s novel The Italians at Cleat’s Corner Store was published in Australia and the UK in 2015 and won the International Rubery Award in the novel category. Jo is currently working on an anthology of stories, the title story of which has been optioned for film.